WOW can you belive we are amost at the half way point into 2017. Seems like yesterday it was Christmas. Of course when I talk to Corbin he says it is taking forever for summer break to get here. Maybe it is a age thing. The older you get, time passess more quickly. This morning I'm here to share a Mother's Day card. 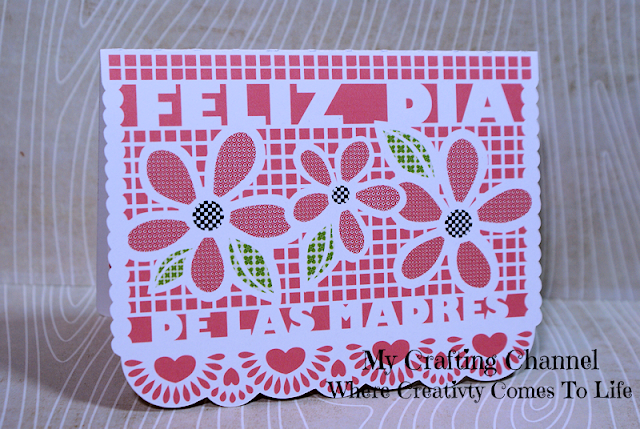 I made 2 with different colors and digital papers as well as in English & Spanish. This file was supposed to have all the elements cut out and advertisd as a piece to be used as decortion. 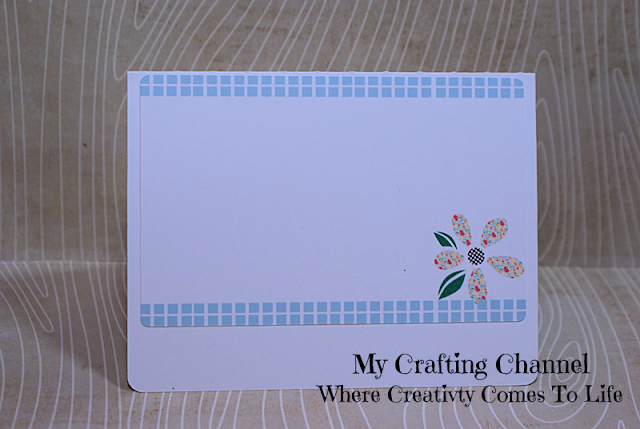 I want to use it on a card and not have it all cut out so I turned the cut lines off and filled each section with color or digital papers then merged to the front of my card. For the inside I took section of the file and merged them to a layer that I placed inside. For me this is a new way to look at files in the future. WOW! They are really beautiful! !Such lovely details and design.The inside of the cards are very pretty as well. Yes! Time is going to fast for me too! 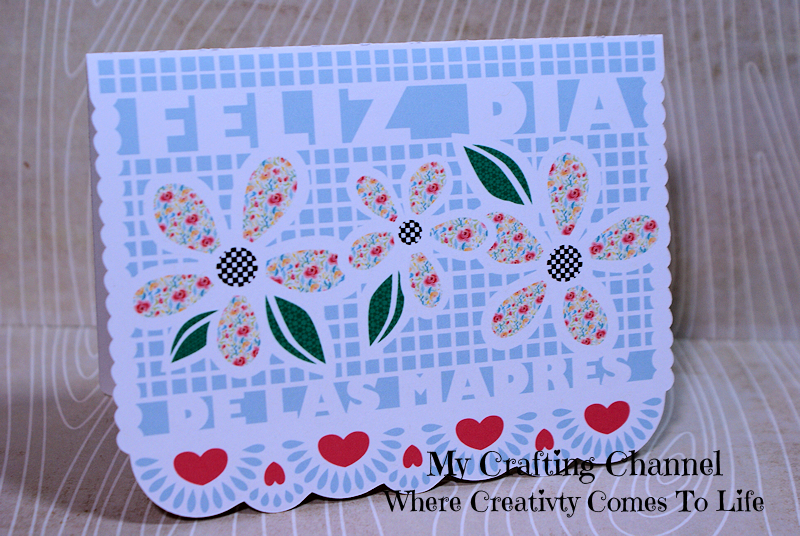 Gorgeous Mother's Day cards! The design looks spectacular and your papers are just stunning! What a beautiful cards!! I love the pretty papers you used!! Have a great day. Yes, time is just zooming by! Your cards are beautiful, a lovely design! 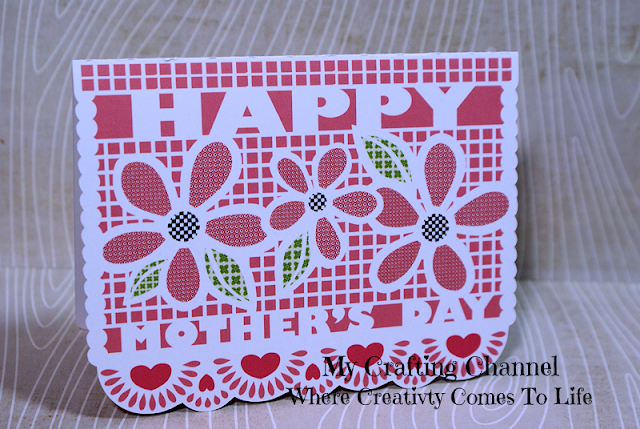 What wonderful designs.. both cards are really pretty!